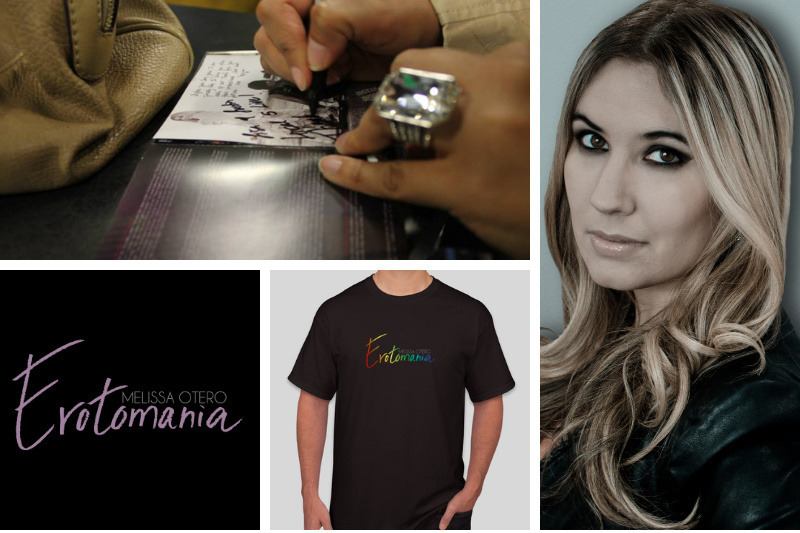 Fundraiser by Melissa Lomax : New Album "Erotomania"
PLEASE READ THROUGH: Welcome! After working so hard for almost two months on our original campaign over at PledgeMusic, we decided to cancel the campaign due to an ongoing situation with the platform's finances. I kindly invite you to look through this entire page and see what we have available as some items are limited. 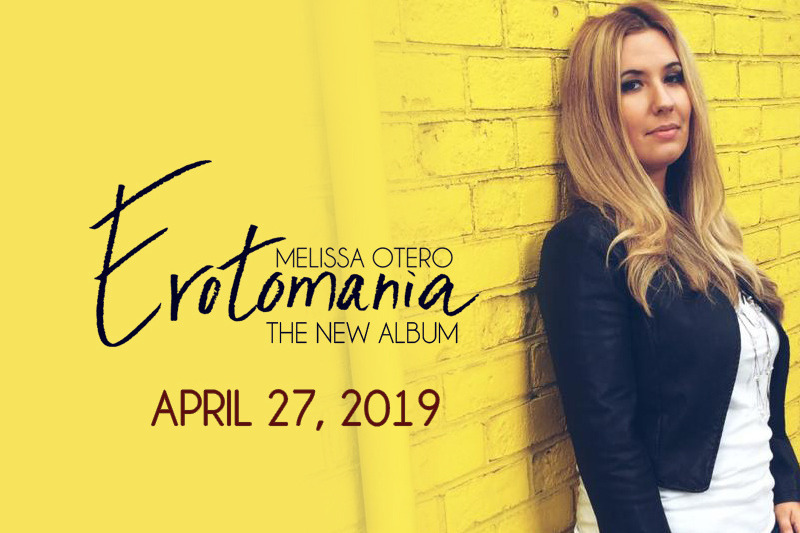 This is a PRE-ORDER GoFundMe for my forthcoming album "Erotomania" due for release on April 27th, 2019. Every single person that contributes to this page MUST inform us what it is that they are ordering. You can also just submit a donation and also note it in your note. We will send continuous news about our project going forward via this platform and my official newsletter at www.melissaotero.com. If you decide to pre-order any item, please note, we will be honoring all items after the album is completed. Our goal is to close this GoFundMe no later than March 27th, one month before the release date so we can start shipping out whatever has been purchased through here. For each order that needs to be shipped, there will be an additional shipping + handling fee which will be calculated once we are ready to ship your order. By then, you can just submit your shipping + handling funds via PayPal. It’s been six years since the release of “Angels and Demons” and I have been hard at work writing new material for the new LP. So many songs to choose from and I have narrowed it down to handful of songs I feel are ready to be shared with the world. I invite you to join me in this project of love and passion as I bring to you new music while we go on tour. The online store will feature some one-of-a-kind merchandise that can only be bought here as well as some merch from previous albums and special items such as the “VIP Concert Experience”. Thank you so much for your support! Looking forward to completing this project of love for you all. The song of your choosing by Melissa Otero, written out by hand in a very special way. After the album release show, right from the stage, signed just for you. You and up to 3 friends can come and hang with the band backstage at our release concert party in New York City! PLUS receive some signed merch. Includes entry to concert and soundcheck. NYC Concert date April 27th, 2019 at SOB's (Sound of Brazil). 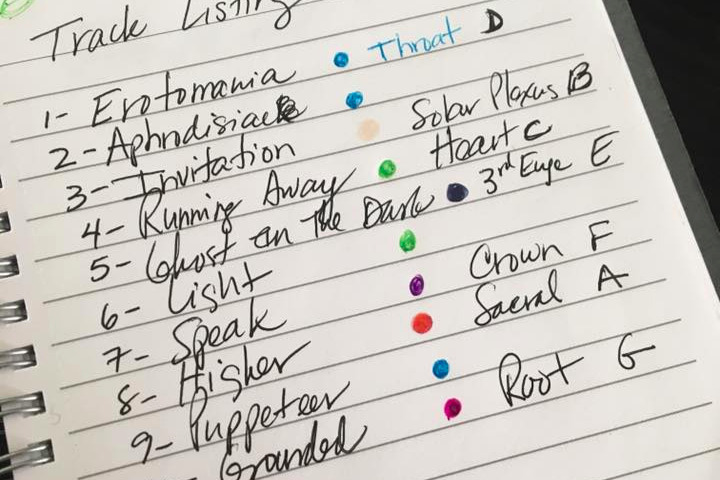 We got a sneak peak for you of the current track listing for Erotomania!!! AHHH!!! I can't believe we are down to the last wire and next month it is RELEASED!!! WHAT?!!! OMG!!! :D I couldn't have done this without you! Seriously!!! I also have a bit of our recording session for the song "Running Away" while I was doing backing vocals. P.S. I may offer the piece of track listing paper at the album release party as a raffle. Soooo, if you're going, you got a chance to win!!! Beautiful people! I am finally able to bring you the video of the recording of "Ghost In The Dark". We had to cancel one of our sessions due to snow but then we got down to it. Interviewed on Billboard Magazine regarding PledgeMusic. Friends, family, fans, please take a moment to read about the situation with PledgeMusic. We had reached almost the entire amount of what it would cost to produce the album and had to shut down the account due to the financial situation with PledgeMusic. I was interviewed this past week by Billboard to shed light on the situation. I am super grateful for all the fans that pledged but we are not back to square one and kindly ask you to reconsider pledging again if you have not yet done so. Thank you. Yesterday I recorded the vocals for the next song on the album "Higher" and I have a feeling that live this song is gonna rock! Check out a small clip below! Wohoo!